But, you can help. 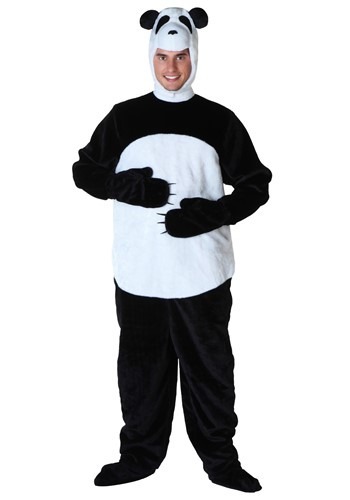 Not only can you have a great night but you can save a life and possibly an entire species with this Adult Panda costume. This black and white jumpsuit zips up in back with a wide white belly area. The hood has a Velcro strap for your chin and has adorable soft-sculpted panda features, including its face and ears on top. Elastic on the pants keep it bound comfortably at your ankles and then around your shoes for the fuzzy boot covers. In case you’re looking to awe an entire group with a family of panda bears, you can also find this cute costume in toddler, child, and other adult sizes. 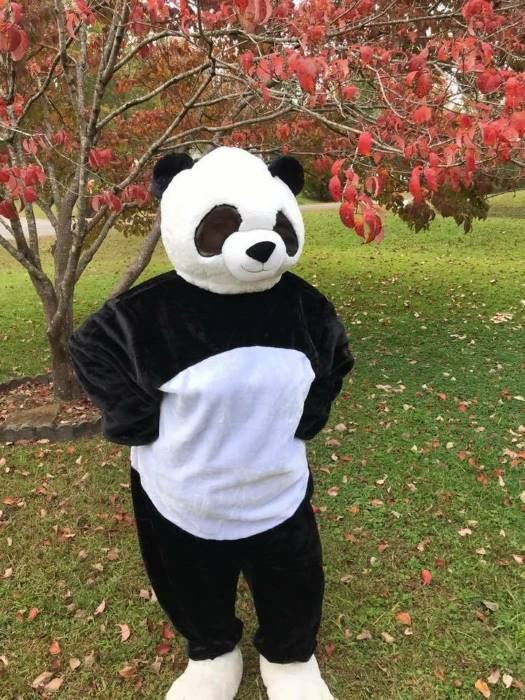 I am a plus size women who normally wears a 3X and I wanted a comfy, roomy panda costume for Halloween. This one fit me great and all I had to do is match up my measurements to the sizing chart on the website and it worked great. The panda head can be taken off which was great for me because I wanted to use a different one I already had. The detachable paws worked great but the shoe covers not so much so I used my own white bear slippers.